At long last: The second, completely revised edition of this comprehensive standard reference. 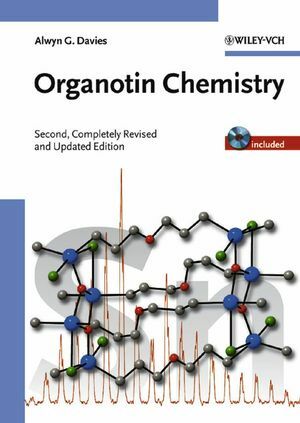 Alwyn G. Davies has updated the contents of his book to reflect the current state of research into organotin chemistry. He covers all aspects in detail, such as its synthesis, characterization, structures and applications, while also devoting space to such hot topics as environmental issues. This new edition also includes a CD-ROM with more than 5,000 references, making this database an invaluable tool for everyone working in the field. "The text is well written, extremely accessible and very comprehensive: particularly impressive is the inclusion of up-to-the-minute references in these areas...."
"The standard of production is very good, with well-structured tables and an abundance of clear formula schemas, which enable the reader to quickly grasp the essence of the text." "This monograph gives an impressive overview, which concentrates mainly on the preparative aspects of organotin chemistry... One must also mention the well-structured tables and the abundance of clear formula schemes. Which enable the reader to quickly grasp the essence of each chapter." "Completely rewritten in order to reflect the developments that have characterized these specific areas."